Kimberly Bass will be performing her original soulful music and also featuring friends, Kelly Flemming on guitar and Pat Jacobson on bass. 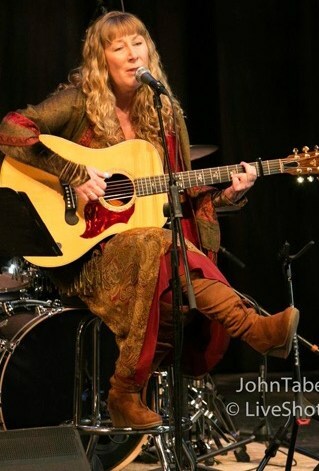 Kimberly is a multi-talented singer~songwriter heralding from the high mountain country of Northern California. Her melodic, heartwarming songs blend the rustic experience of a barefoot country girl, with keen lyrical insight and divine inspiration. A versatile and accomplished vocalist, Kimberly has toured extensively throughout the United States, Canada and Japan. Her time has been spent with Grammy Winning vocalist, Diane Schuur and Grammy Nominated vocalist, Maria Muldaur. Kimberly is featured on Maria Muldaur’ s “Heart of Mine” album, the Love Songs of Bob Dylan that remained #1 on the Billboard Blues Chart (2006) for over four consecutive weeks. Kimberly has been honored receiving First Place in the 2006 U.S.A Songwriting Competition for her song, “Callin’ All Angels” (Gospel) and Third Prize, Best Overall. Featured musicians accompany Kimberly her winning song are the late, Carlos Vega on drums and Jimmy Johnson on bass (James Taylor’s Band), Will Ray on guitars (Hellecasters), Maxine, Julia and Oren Waters, and Carmine Twillie (Pink Floyd) on backing vocals. Produced by Play Tone Record’s, Mark Wolfson. Also known for her annual performances with the production of “Thousand Kisses Deep”, the music of Leonard Cohen, Kimberly continues to write and record her original songs and is currently recording two albums, one of her original compositions and the crystal singing bowls. Kimberly’s performance credits include the Newport Jazz & Folk Festival, the Monterey Jazz Festival, the Winnipeg Folk Festival, the Montreal Jazz Festival, Lincoln Center, the Blue Note (N.Y.C), as well as performances in Japan at Tokyo’s Keystone Korner and The Maderao Jazz Festival. Other performances include the Beacon Theater (N.Y.C. ), Mountain Stage, Nashville Now, and the New Orleans Jazz Heritage Festival! Also, Seattle’s Opera House, Bumbershoot and Folklife Festivals in Seattle, The Fillmore, San Francisco and Earth Dance’s Global Peace Celebration in Northern California. “…heartfelt, inspired songwriting … with a delivery both biting and assured…” – SingOut! 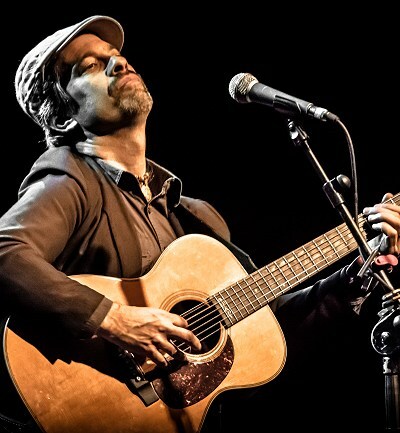 Growing up in the shadow of the nation’s capital, Dave Nachmanoff cut his musical teeth on Pete Seeger, country rock, the Kingston Trio’s early revival folk, and ‘80s new wave, all melded with a soupçon of Brit folk a la Fairport Convention, John Martyn, and Ralph McTell. He also holds a Ph.D. in philosophy from the University of California. So maybe the “singer-songwriter” tag deserves to be retired in favor of “singer-philosopher,” which would place him more rightly among the likes of Randy Newman, Warren Zevon, Kris Kristofferson, and other performers whose musical output has been guided by a creative vision that extends far beyond “moon-June-spoon” lyrics and “G-D-C-Am” chord progressions. Nachmanoff resides in Northern California, not far from the heritage vines that helped inspire his 2009 collaboration with Al Stewart (Year of the Cat), “Uncorked”. Thirty-one years ago Nachmanoff saw Stewart live for the first time at Royal Albert Hall in London; ten years ago, he came back to that same venue and performed with Stewart. He also collaborated with Stewart on his most recent release, “Spinoza’s Dream”.